Just off the 122 at Derby Ave.. 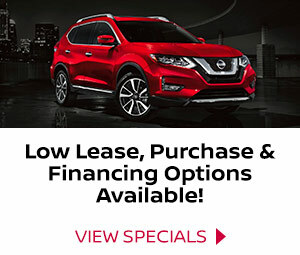 Welcome To George Harte Nissan In West Haven, Connecticut! At our family-owned and -operated Nissan dealership near Bridgeport, CT, we don’t just sell new Nissan vehicles — we sell new driving experiences. We carry all the models you’ve come to know and love, plus the savvy service and parts departments you need to keep them in fine form for years to come. It’s our desire to create an efficient, modern shopping environment for all our customers and pair you with just the right vehicle to take your daily drives to a whole new level. If you’re a Connecticut commuter looking for the perfect new or used vehicle, you’ve come to the right place. 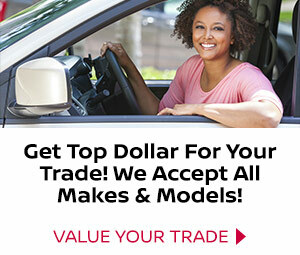 We sell pre-owned, certified pre-owned and new Nissan vehicles alike. We’re proud to offer the full spectrum of body types for you to choose from. Whether you’re more interested in the Nissan Altima sedan, the Nissan Pathfinder SUV or even a truck like the Frontier and Titan, we’ve got what you like. Plus, with the help of our dedicated Nissan finance experts, you can hit the highway in a new or used Nissan rivalling competitors’ newest vehicles with a lease or loan you can easily afford. Got broken parts or sluggish automotive performance on your mind? 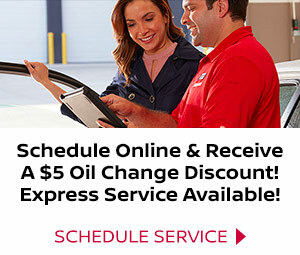 The George Harte Nissan service and parts professionals can help. Come to us with all your maintenance problems and we’ll solve them for you. Our experienced technicians can help you with everything from the most complicated suspension repairs to the simplest tire rotation. We also have lots of OEM Nissan parts and accessories you can buy as well, and we can both install them for you or give you advice if you’d prefer to do it yourself. From end to end, George Harte Nissan is a Connecticut dealership that will serve all of your needs. Visit us today at 426 Derby Avenue in West Haven, Connecticut.